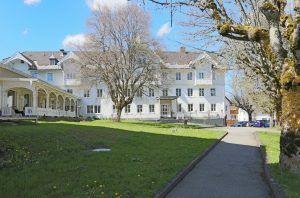 Frankfurt am Main, 09 April 2019 – Principal Real Estate Spezialfondsgesellschaft mbH (Principal) has acquired the “Privatklinik Friedenweiler”, a private clinic located in the Upper Black Forest in south-west Germany, for the Principal Care Invest II fund. The vendors of the famous facility, which specialises in the treatment of a variety of mental illnesses, are private investors based in Freiburg. This is the second purchase by the fund following the purchase earlier in the year of another medical centre in Germany. Neither party has disclosed the purchase price. The private clinic has been located at the building since 2011. The building had previously been used as a hotel in the 19th and 20th centuries. The property, at Kurhausweg 1,2, 4, 4a / Peter-Thumb-Strasse 5, is situated on an approximately 12,300 sq m site with a lettable area of ca. 5,100 sq m, which is fully let for 15 years to Privatklinik Friedenweiler GmbH & Co. KG. The clinic provides 71 care beds. “The acquisition of the ‘Privatklinik Friedenweiler’ highlights our ability to source attractive healthcare properties in the clinic sector, as well as outpatient and inpatient care facilities. It further underlines the extent of our penetration into the healthcare property market”, Paul Muno, Managing Director of Principal Real Estate Spezialfondsgesellschaft mbH and Head of Germany at Principal Real Estate Europe, comments on the acquisition. “This purchase also provides further momentum to our strategy of acquiring attractive properties with sustainable management for Principal Care Invest II,” Muno continues. BFS Service advised Principal on the commercial aspects of the transaction. GSK Stockmann provided legal advice and Arcadis Germany was responsible for technical issues. The transaction was brokered by Gisinger Immobilien GmbH. The vendors were advised by S³ Schilli Schmidt Sozien, of Freiburg. Principal Care Invest II is an open-end real estate special AIF comprising health care properties, targeted at institutional investors. The objective is to establish and manage a balanced and regionally diversified portfolio of health care properties with long-term value stability. The investment focus is on care homes, outpatient facilities, sheltered housing including rehabilitation clinics with psychiatry, gerontology and oncology specialisations, as well as medical and medical care centres in Germany. The fund has an investment volume of around EUR 300 million, of which up to EUR 150 million is equity. It aims to achieve a distribution yield of up to 6% on a ten-year average. The lot size classes of the properties range between EUR 7 and 20 million for care properties and sheltered housing, and between EUR 10 and 30 million for rehabilitation clinics and medical care centres. The majority, between 60 and 75%, is to be invested in care homes and sheltered housing. The fund, which was launched at the beginning of 2018, has a planned investment period of three years. Principal is part of the US Principal Real Estate Investors, the real estate investment group within Principal Global Investors, based in Des Moines, Iowa. Principal Real Estate Investors has almost USD 75 billion of assets under management, ranks among the top 10 real estate managers worldwide. Principal Real Estate Europe is part of Principal Financial Group’s dedicated real estate business, Principal Real Estate Investors, which manages or sub-advises $74.3 billion1 in real estate assets globally. Principal Global Investors® leads global asset management at Principal®. As a multi-boutique firm, we bring a focused perspective and offer expertise across a host of asset classes. At our core, we are driven by our purpose to help investors and businesses achieve their financial goals. Our global investment professionals deliver investment solutions for public and private pension funds, foundations and endowments, central banks, insurance companies, sub-advisory arrangements, sovereign wealth funds and individual portfolios. Principal Global Investors manages approximately $412.71 billion in assets on behalf of over 800 institutional clients located in over 80 countries as well as retirement plans and individual clients, reflecting our worldwide market reach and experience and our commitment to high-quality research and service (as of December 31, 2018). To find out more, visit us at principalglobal.com.